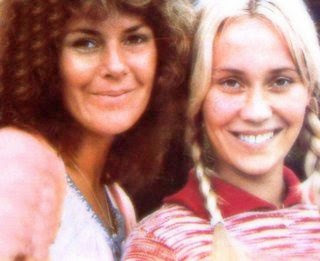 Frida and Agnetha ready to do the bunnyhop on German tv in December 1975. 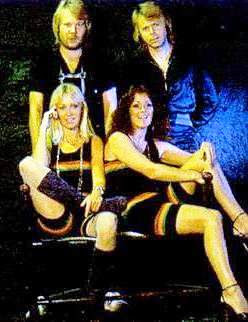 Agnetha and Frida: Yes Bjorn sits like that aaaaall the time! 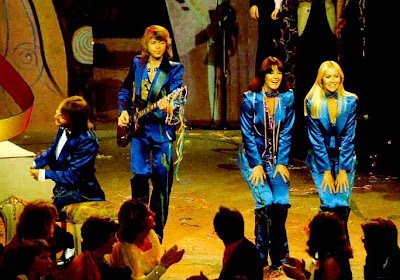 Agnetha: Can you hear the drums Fernando? 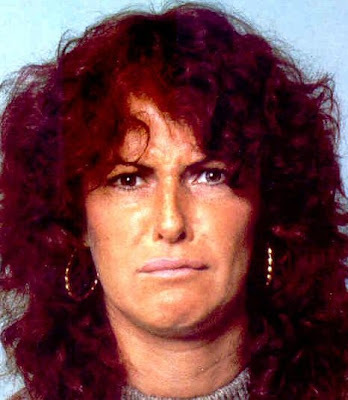 Frida: Whatevah! 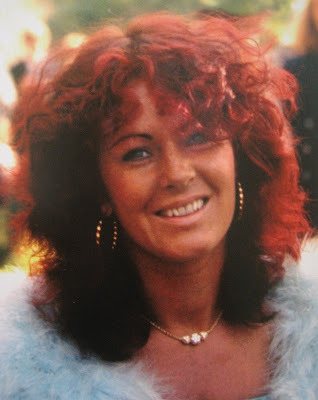 Agnetha is taking the lead since Frida is soo not in the mood today. 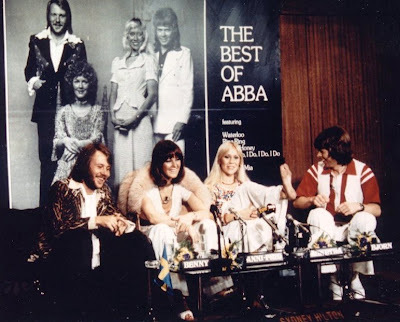 ABBA during rehearsals for the 1979 tour but what on earth is Bjorn doing and... Benny!!!!??? 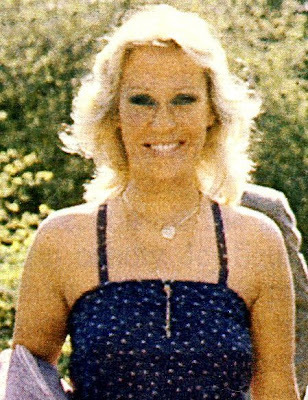 Agnetha in 1980 and Frida in 1981. 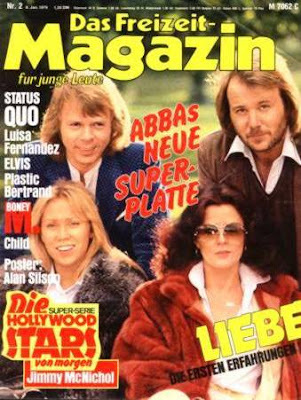 Posh looking ABBA making the January 1979 cover of Freizeit Magazin in Germany with a pic taken in 1978. Agnetha and Frida running into the arms of photographers and fans in 1976. 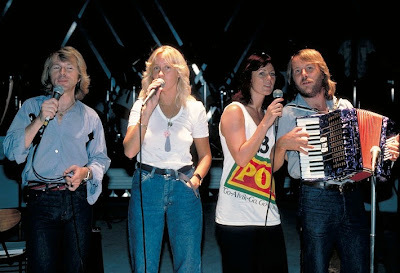 ABBA during rehearsals for their upcoming tour in August 1979. Agnetha going 'Please No' in 1976 and Frida going 'Huh' in 1981. 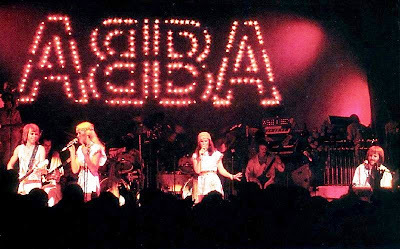 ABBA live in Europe, early 1977. Those not smiling ABBA's will laugh out loud while island hopping... good to know! 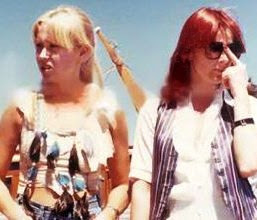 ABBA during filming of the Abba D'abba Dooo tv special at the island of Viggso in the summer of 1976. You look better in a photograph if you laugh... erm... whatever! 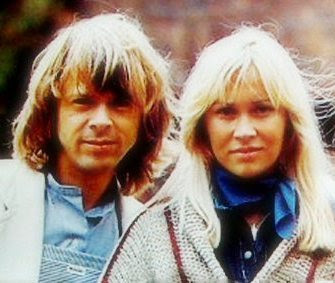 Bjorn and Agnetha in Switserland, early 1979 (shortly after their split) and Frida and Benny in France, late 1980 (shortly before their split). 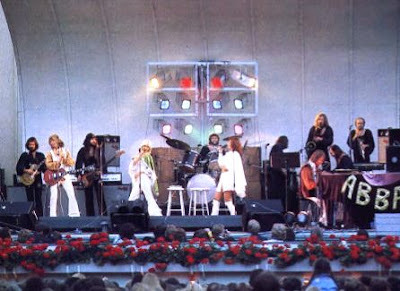 ABBA live on stage in Sweden in the summer of 1975. 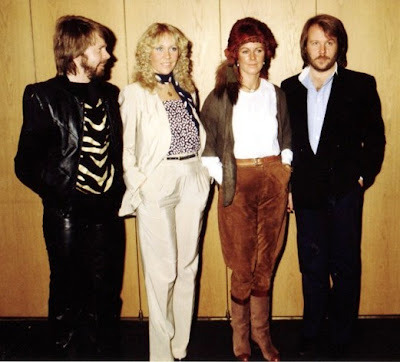 ABBA during a pressconference in Australia in March 1976 where Agnetha is very clear to the press: My bum??? My foot! 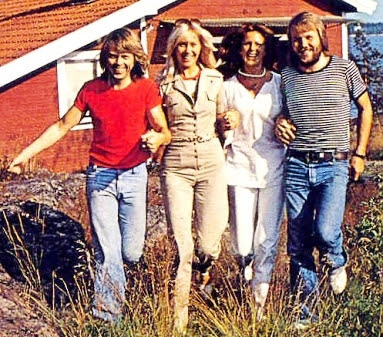 Photoshoots were always a lot of fun for the ABBA people as can be seen in this piccie made in the summer of 1977. A pic with some more or less smiles would later end up on the sleeve of the Take A Chance On Me single. A photoshoot of ABBA in a sort of cage with the girls in some very interesting outfits in 1978. 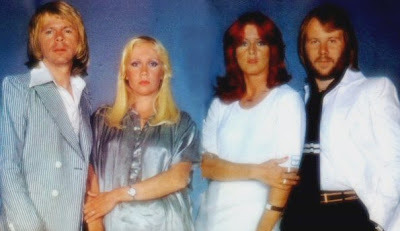 ABBA posing for photographer Bubi Heilemann in 1976. 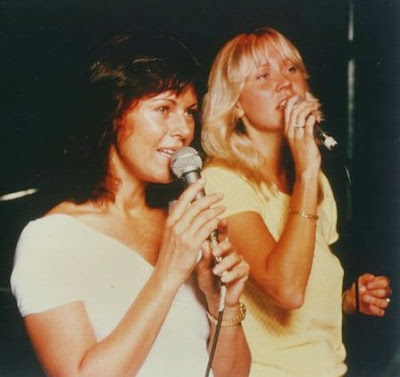 Frida and Agnetha during the rehearsals for the upcoming ABBA tour through Canada, USA and Europe in August 1979. 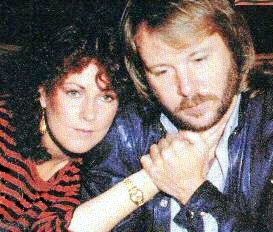 Another alternate picture taken during the sessions for the Knowing Me Knowing You single, late 1976. 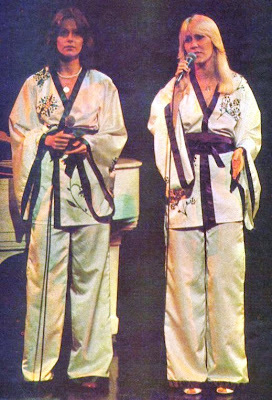 The clothes remained a little over the top until the end as proven by Frida and Agnetha during the photoshoot for The Singles in 1982. 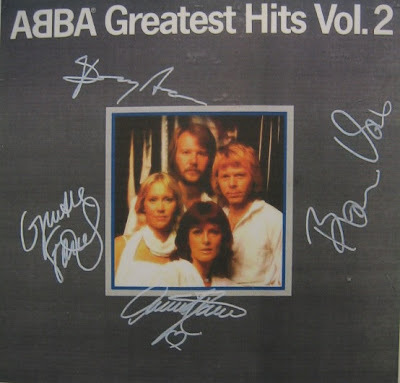 The cover of the 1979 compilation Greatest Hits Volume 2, signed! Agnetha: Huh... what? Frida: Hmm... whatever! 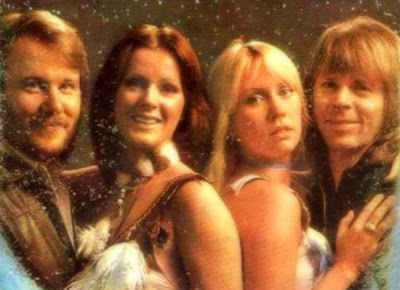 The very mature version of ABBA posing for the camera's in November 1981 to promote The Visitors. 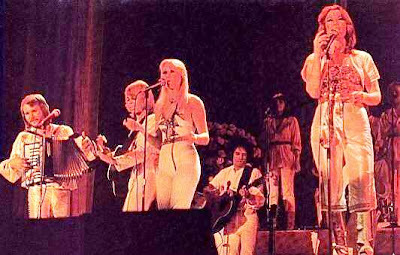 ABBA live on stage during their tour through Europe and Australia, early 1977. 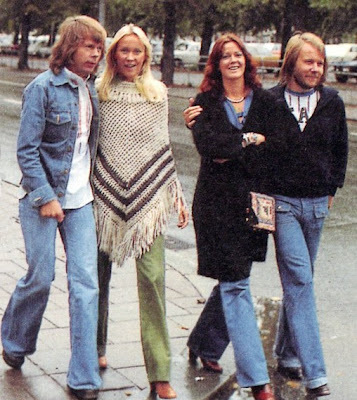 The four ABBA people happily taking a walk through the wet streets of Stockholm in the autumn of 1976. 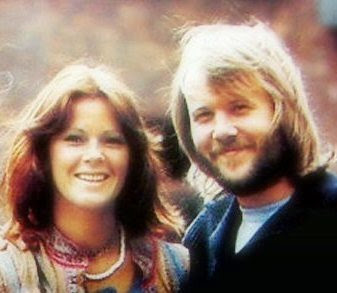 ABBA celebrating their first 10 years together and will soooo not break up! 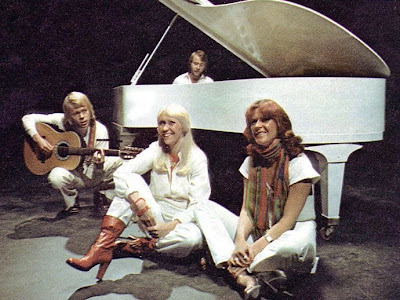 Frida and Agnetha flirting with the camera(man??) in the summer of 1974. 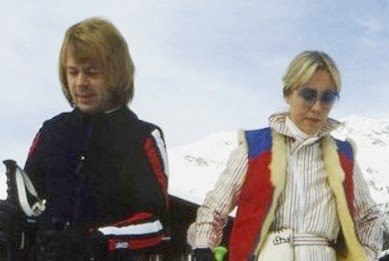 ABBA on ice in Switserland, February 1979.